Waterloo school administrators say school will be back in session at the three public high schools after a threat on social media forced the cancellation of classes today. 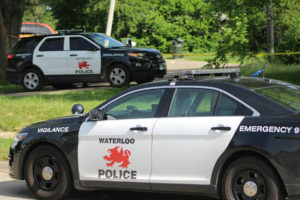 Waterloo police spokesman Joe Leibold says a 15-year-old male is in custody in connection with the incident, charged with threats of terrorism. He was taken to the Black Hawk County Juvenile Detention Center. Leibold says police began receiving reports about the social media threats late Tuesday afternoon. He confirms that disturbing comments written on a blog were directed toward West High School and Expo Alternative Learning Center. While there was no reference to East High School, district officials decided to cancel classes at all three buildings Wednesday morning as a precaution. According to Leibold, authorities are still investigating the incident to determine if anyone else was involved in the threat.